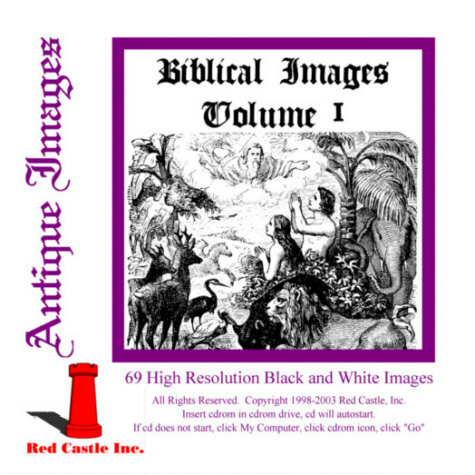 Antique Image Bibical Images Volume 1 CDROM's by Red Castle, Inc. 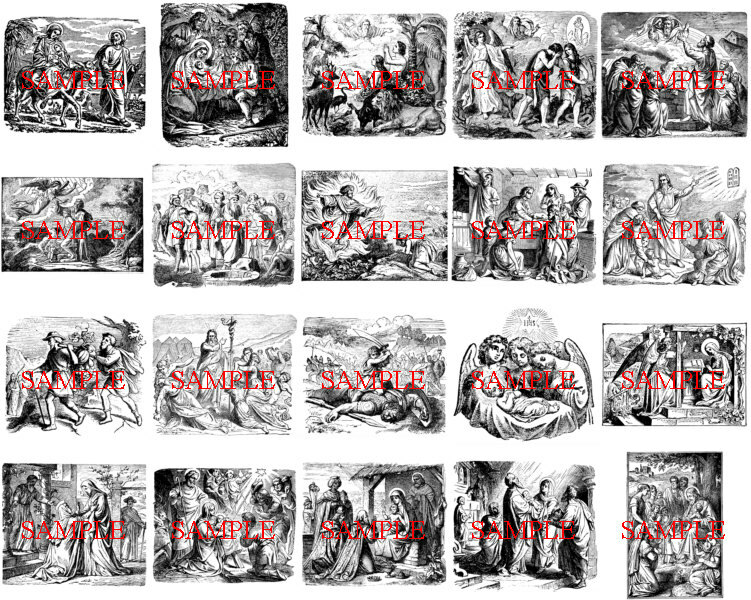 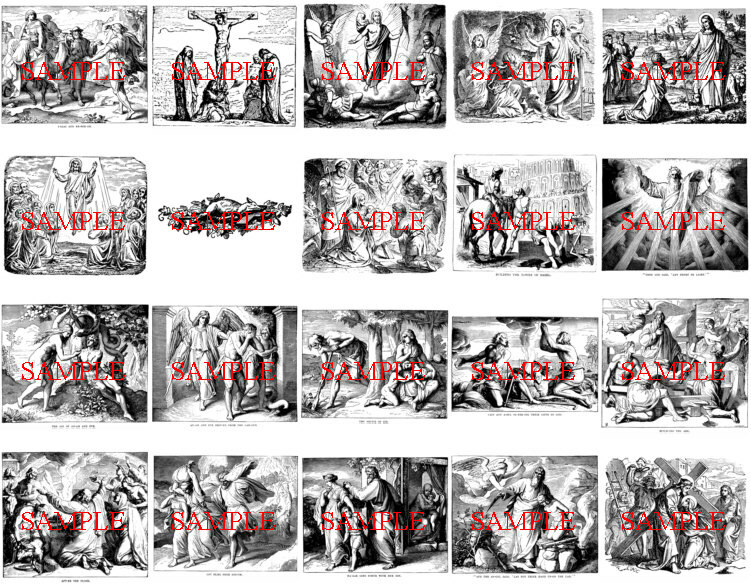 These are woodcuts and engravings from 1800's religious books for children. 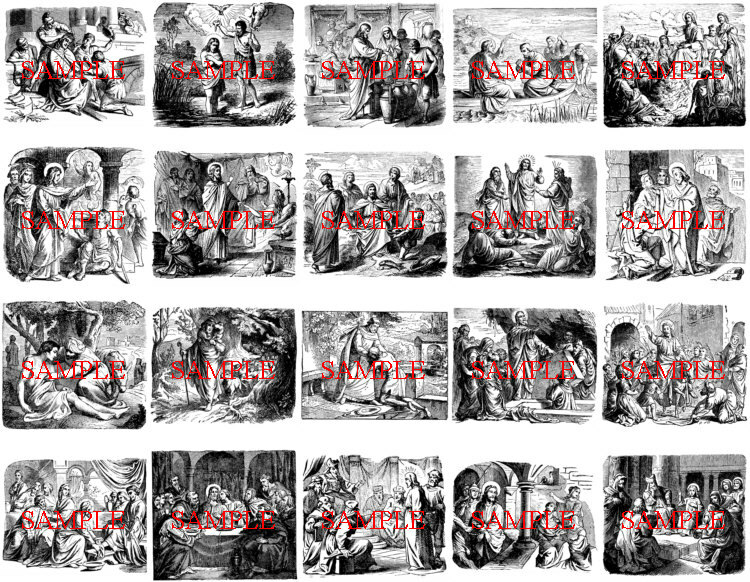 Most of the images were orginally about 5" X 6", and if you try and print them a lot smaller then that they will not look as good.